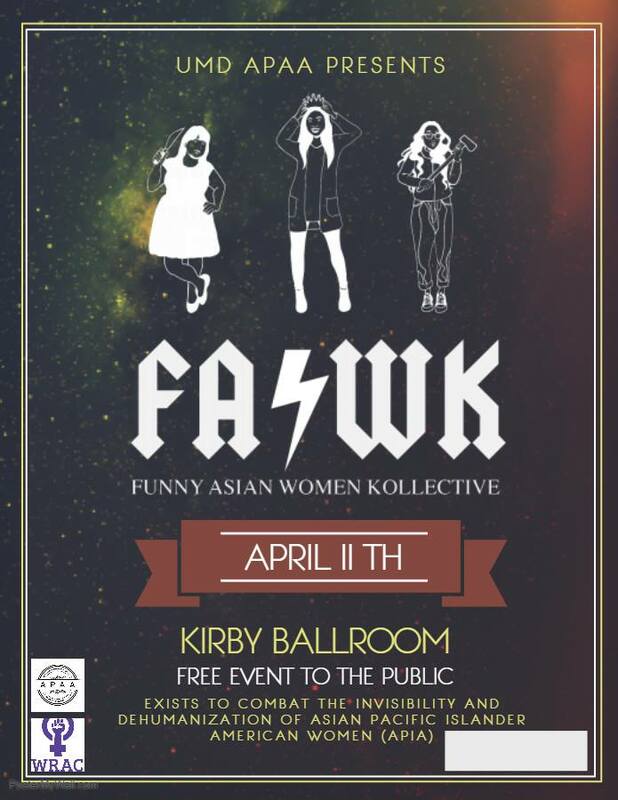 The Asian Pacific American Association (APAA) is hosting a guest speaker event starring the Funny Asian Women Kollective (FAWK) on Thursday, April 11 at 6 p.m. in the Kirby Ballroom. FAWK is a Minnesota-based comedy troupe founded by award-winning comedians Naomi Ko, May Lee-Yang and Saymoukda Vongsay in 2014. The group’s mission is to raise awareness of Asian Pacific Islander American (APIA) women through comedy. It addresses several controversial topics such as race, privilege, gender issues and sexual health. APAA intended to continue on this year’s theme of “This Is Us”—an effort to raise up the voices of those within the APIA community and uplifting other marginalized groups. The event will involve a series of presentations including a film screening, poetry reading, short skits, storytelling and audience engagement. When planning for this year’s guest speaker event, Kalia Vang, APAA’s general member representative, suggested FAWK to her APAA executive board members. Lee joined APAA last February and has been an active member since. It is her first time being involved with APAA’s Asian Awareness Month, and her first guest speaker event. “I am really excited just to see how APAA is going about this month just because the Asian community up here is really small compared to [the Twin Cities campus],” Lee said. APAA has touched on various APIA issues and controversial topics such as the role and expectation of Asian women, mental health, and anti-blackness—the presence of negative behavior and perception towards African and African Americans in the APIA community. Both Vang and Lee hope for a big turn out and to see students who do not actively participate in the Multicultural Center (MC) come to the event. “It would be nice to see, and honestly it would feel really encouraging to see a lot more support from people outside of the MC,” Lee said. The event is sponsored by the Women’s Resource and Action Center (WRAC). Asian Awareness Month is celebrated in May. However, due to the academic year ending in early May, APAA hosts events for the heritage month every April.